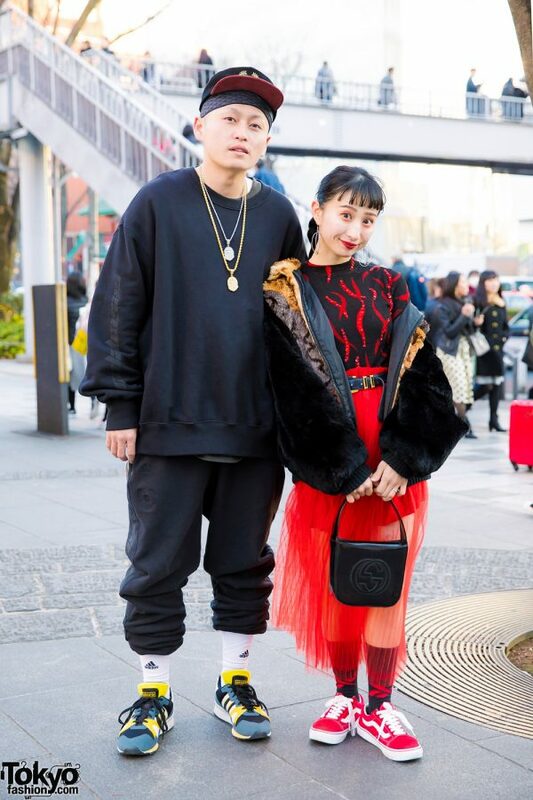 While walking along the streets of Harajuku, we met Kazuki and Misaki, a couple who easily caught our eye with their black and red fashion styles. 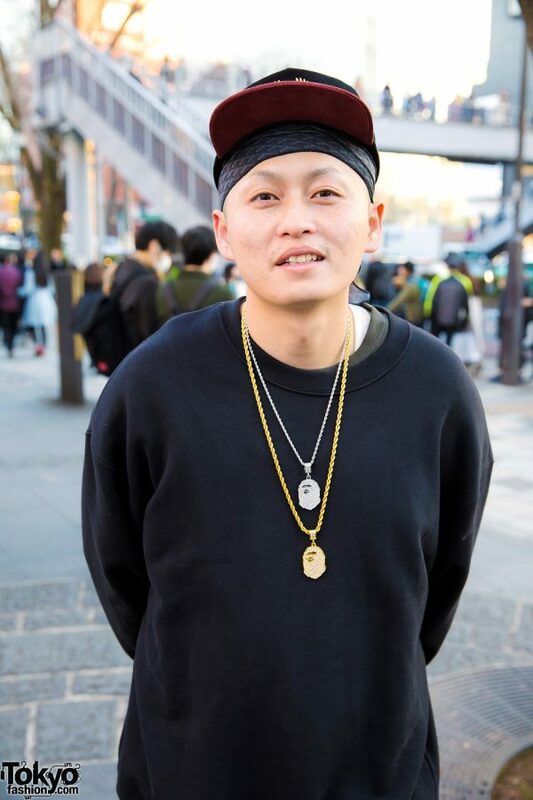 Kazuki, a 27-year-old who works in the food service industry, is sporting a black outfit which consists of a black sweater, undershirt, and jogger pants – all from the Yeezy Season 5 collection. 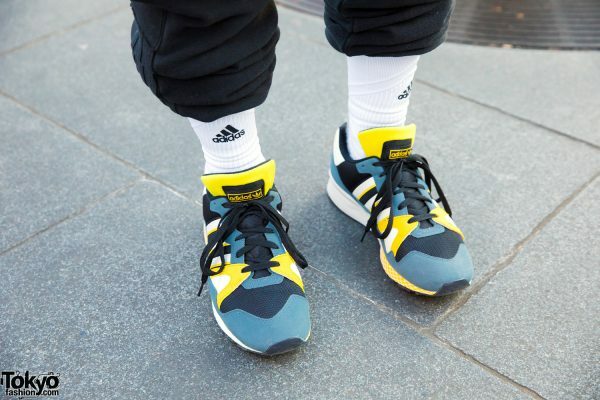 White Adidas socks, colorblock sneakers from Adidas, and accessories such as a black cap and layered necklaces from A Bathing Ape complete his outfit. 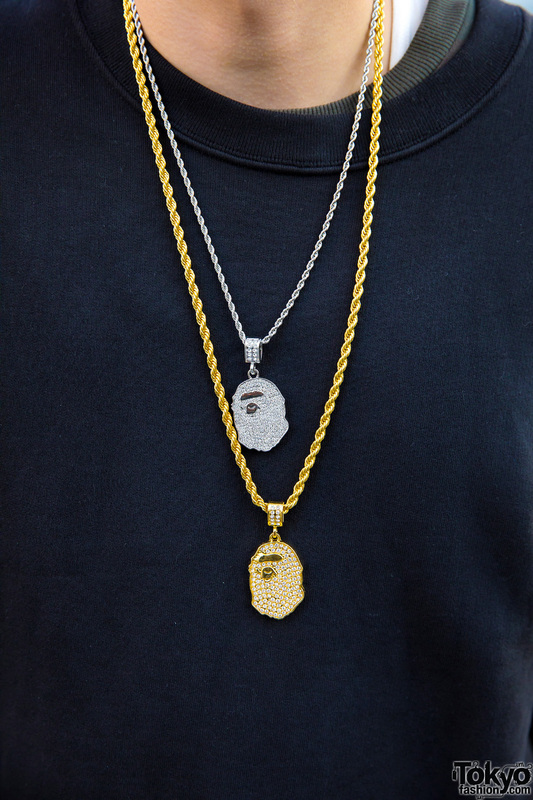 His favorite brands are Vetements and Yeezy, and he enjoys the music of Kanye West and Moroha. 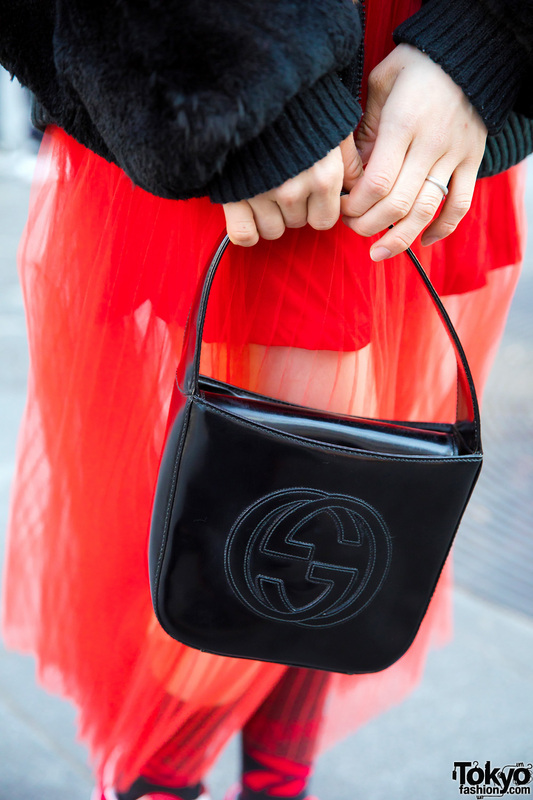 Meanwhile, Misaki – a 23-year-old office worker – is wearing a vintage faux fur jacket, a black and red printed sequin top, which she tucked into a red pleated tulle skirt from H&M. She styled them with black Vetements socks with red prints, red Vans sneakers, and a Gucci handbag. For the finishing touches to her outfit, Misaki wore silver geometric earrings, and a black leather belt with gold buckle. 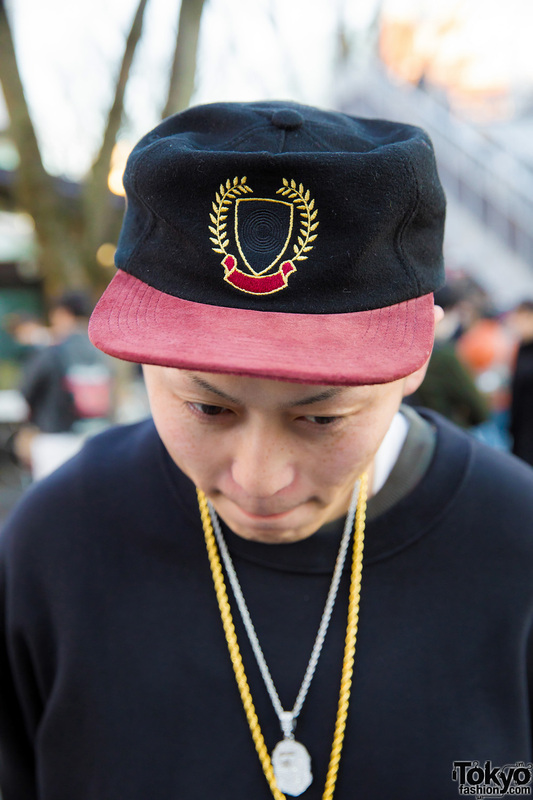 Misaki’s favorite fashion labels are Opening Ceremony, Haight & Ashbury, Gucci and Kenzo. For music, she prefers listening to Radwimps. Follow Misaki on Instagram.